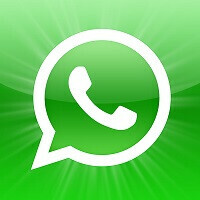 Stating that the reasons behind the suspension of the popular messaging platform WhatsApp are not political or rooted in security concerns, Saudi Arabia’s Communication and Information Technology Commission (CITC) stated that the company, based in Mountain View, California, has refused to comply with the government’s request for local servers to be placed in the Kingdom. Viber had the screws put to it by the conservative government last month and CITC has made it clear that internet based communication services were under scrutiny since at least this past March. Right now, Skype is still operational in Saudi Arabia and services that have previously complied with the government like BlackBerry Messenger are still up and running too. There are still a number of other instant messaging apps available (for now), so if by chance you are affected by this, check out our recent survey of messaging applications for ideas. This marks another dark step in a long line of censorship in a country that is also known as “the internet’s enemy.” A spokesman for the CITC said that an official statement is pending once the suspension of WhatsApp is in place. Unlike Viber, who is a relative small fry compared to WhatsApp and Skype, a ban on WhatsApp will prove to be a major inconvenience. WhatsApp is one of the few applications out there that has gone all-in across all the major and minor mobile platforms out there, making it accessible to just about everyone whether they had an iOS, Android, Symbian, S40, BlackBerry or Windows Phone device. Such accessibility has made WhatsApp a leading messaging platform, processing over 20 billion messages a day. Now that Ramadan has begun, a suspension is all but certain at this point. Egyptians never fell. Egypt has been the leading country in its region and still is, and currently proving themselves as a free country from any dictator, regardless. Egyptians are making history meanwhile you're spending your life being judgmental over something that doesn't even affect you. Ranting without a purpose other than attention seeking. Keep the standard of your comments no where far from smartphones and tech. Industry. Because you have proven to be lacking the required education talk about politics. fall like the Egyptians ??? so the Egyptians bringing down a dictator system for the 2nd time in a row(just two years between the two times) is called falling ?? I wonder what people did bring down a dictator system twice in history twice??? if that's called falling then the whole world is beyond the falling process. they stood against injustice , dictatorship, inhumanity and indignity at the price of their precious blood....twice.they r role models for many parts of the world that have sunk in corruption. I think he meant the 'leadership' falling, not the country. its a way of the Saudi government of getting back what they've lost on Overseas calls, when every single Foreign workers including my countrymen,Filipinos, got hold of this App and its free call everyone stops using the the expensive calls from Telecom Service providers,the telecom companies know how much money they've lost,so they do this....Freedom must be restored! Saudi countries have one of the highest IUC (inter-connect usage or call connect charges) charges in the world. So the ISD calls to those countries are very very huge. (Another reason is the value of their currency is also very high). But what will the workers from other countries do with paltry salary (by saudi standards) and very high ISD calls? They have to depend on such voip providers. the govt is too evil to block them too... Whats next Skype, followed by Tango???? not a big deal let em ban it!